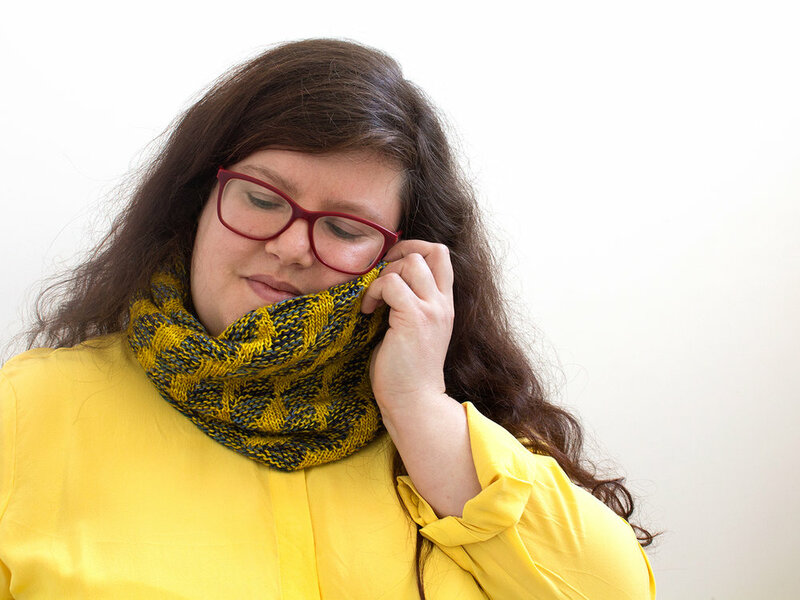 The Oil Paint Cowl features an all-over colourwork pattern using the ‘marlisle’ technique pioneered by Anna Maltz. 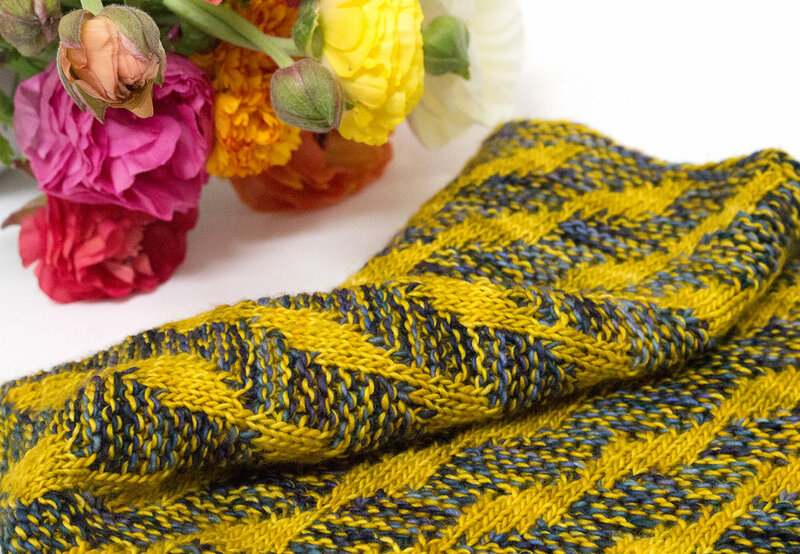 The stylised pattern of brushstrokes is stranded using one colour only, and the garter stitch background is worked with both colours held together. I was lucky enough to visit an amazing Van Gogh exhibition last year, and was so inspired by the bold brush strokes, textures, and colour play. Pick a favourite painting of your own to inspire your cowl’s colours! You can alter the circumference by adding/subtracting a multiple of 8 stitches, and the height by adding/subtracting one or more 14-round repeats.